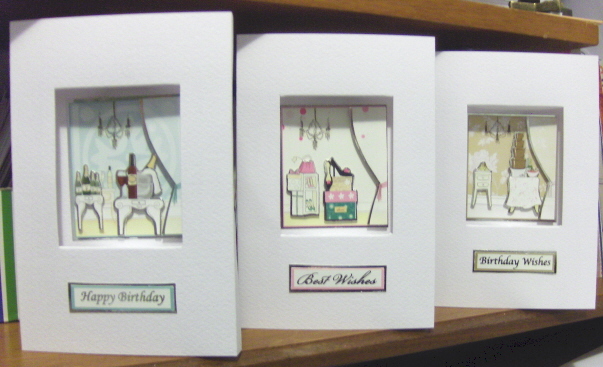 Three more cards made - bringing the total this weekend to 22! So I can now justify buying the Sweet Meadow collection from Craftwork Cards - yaaay. I also managed to sort through two more boxes of my crafty bits and bobs, only one more box to sort through - and it's a big one! But once it's done it's done.